Video: McLaren’s P1 LM Runs a 6:43 at the Nurburgring! Video: Hopping, Bouncing in a Ground Effect F1 at Goodwood! Video: Guided Tour of Le Mans in a McLaren F1! Video: Savage NASCAR Truck’s Committed Goodwood Blitz! Video: Indycar Star Flogs the McLaren F1 GTR at Goodwood! 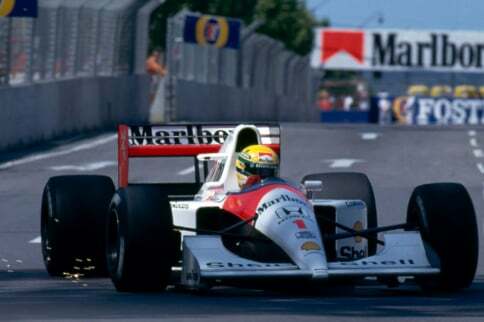 Video: Ayrton Senna’s Heart-Stopping Lap at Adelaide! Video: Ayrton Senna Flogs the NSX-R! Video: Onboard the Screaming McLaren F1 GTR at Monza! Video: Fearsome Lap in P1 GTR at Laguna Seca!